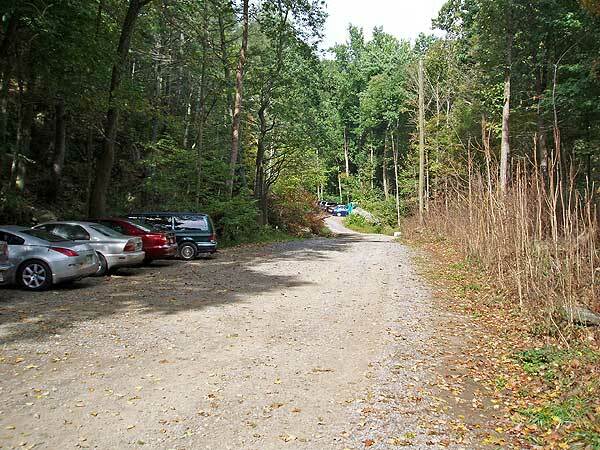 Park at the 20 car White Oak Trail parking area on Weakley Hollow Rd. 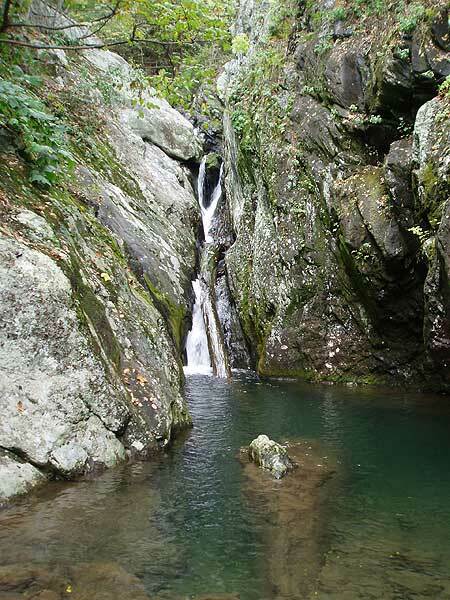 This hike has some of the most spectacular waterfalls in the Shenandoah National Park. 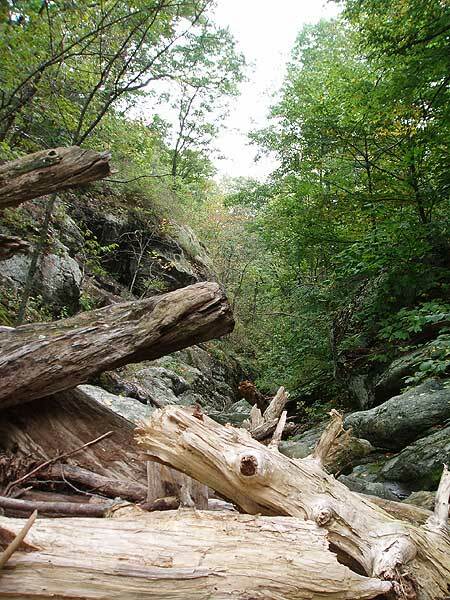 Combining two out-and-back hikes, White Oak Canyon & Cedar Run, this loop starts at the bottom of the valley and cuts over near the top of the ridge. 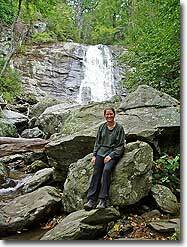 With five major falls, numerous smaller cascades and pools, this circuit hike is one of the best. Begin up the blue blazed White Oak Canyon (WOC) Trail, at the top of the upper parking area next to the SNP ranger station. 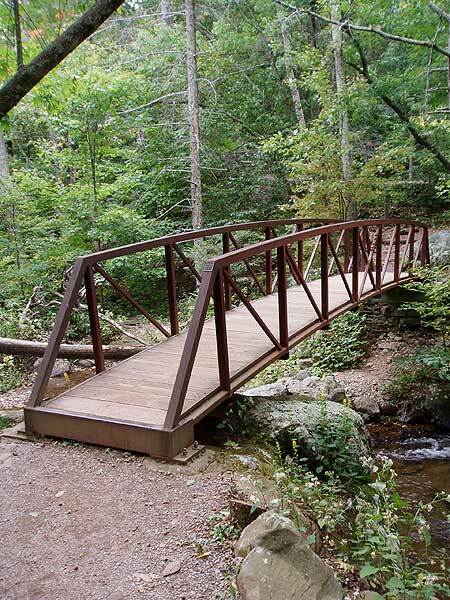 Shortly cross a steel footbridge, then arrive at the intersection of the Cedar Run Trail that will be your return route. Stay straight on the WOC Trail as it winds to the right, then crosses another steel footbridge over WOC Run. 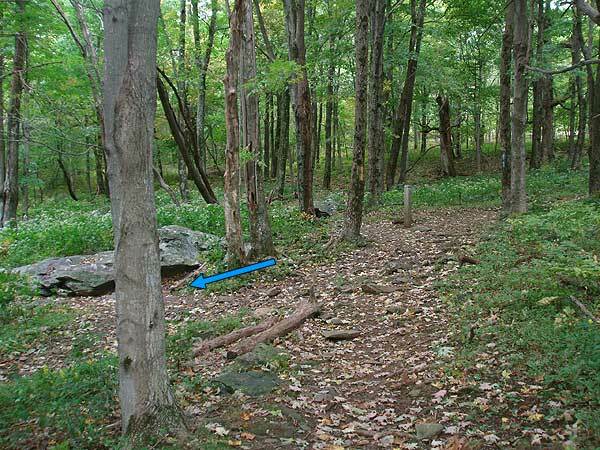 Follow the blue blazed trail on the right side of WOC Run reaching the WOC/Cedar Run Connector Trail in 0.6 miles. Stay straight on the right side of WOC Run for another 0.7 miles, cross a small stream, then arrive the base of the first set of major falls. 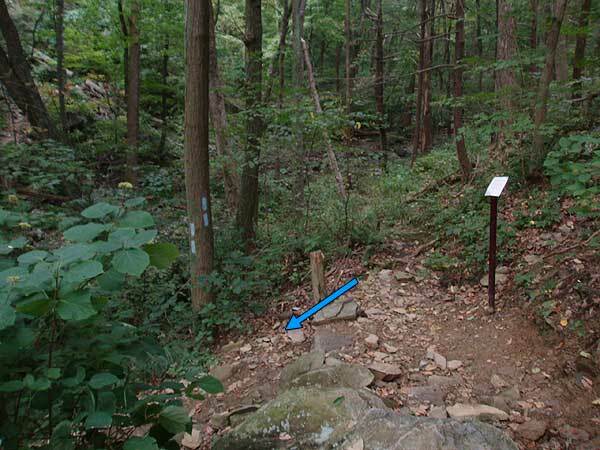 The trail will now make several switchbacks as the grade gets steeper, then reaches the second set of falls in 0.6 miles. Again, the trail will switchback several times, then become less steep, and arrive at a concrete marker for the base of the main WOC falls. 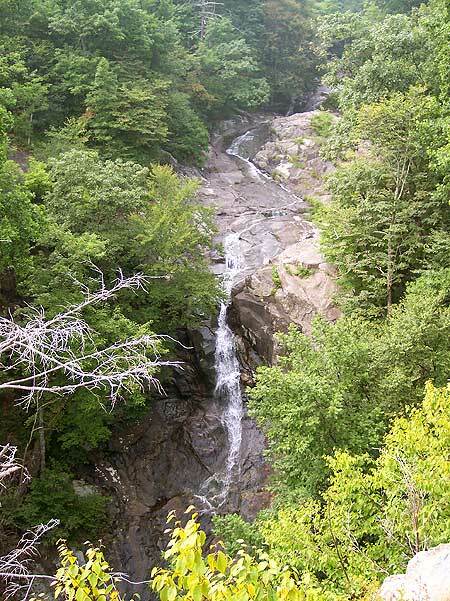 To see the falls from the base, follow the side trail straight for 100 yards. 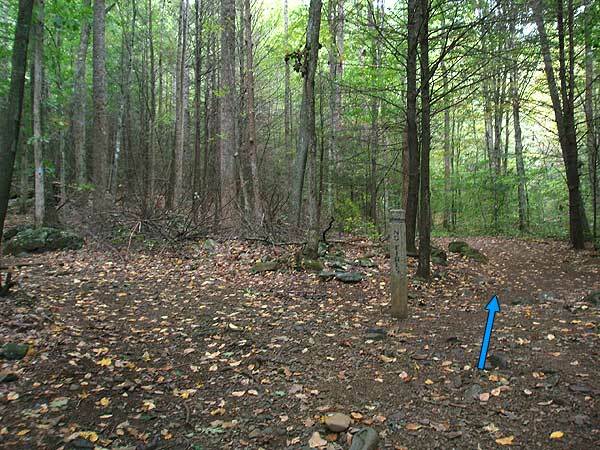 Continue uphill on the WOC Trail as it steeply climbs the last 0.1 miles to the main WOC falls overlook. Continuing uphill from the main overlook, and shortly arrive at the yellow blazed Bridge Path Trail that comes in from the right. Stay straight, then cross WOC Run in another 40 yards at the horse rail. 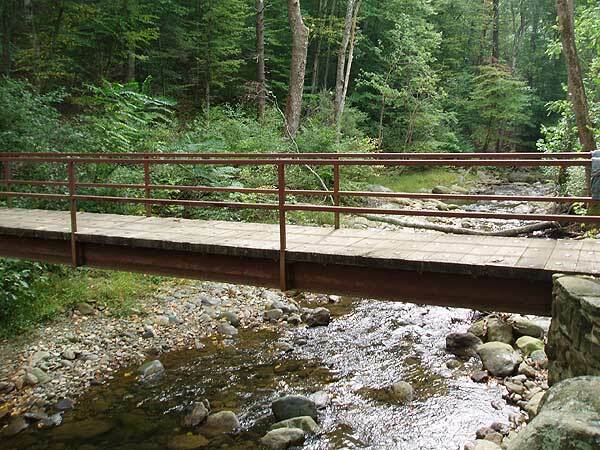 If WOC Run is high, continue up the right side of WOC Run and cross a footbridge in 120 yards. 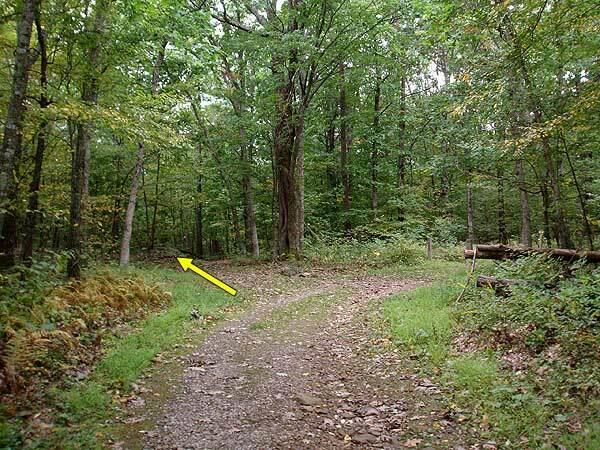 After crossing the run follow the wide yellow blazed WOC Fire Road/Horse Trail. 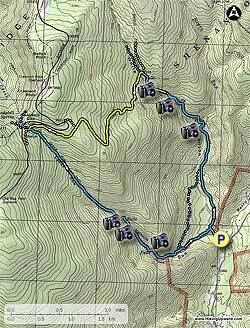 In 1.6 miles the WOC Fire Road/Horse Trail will veer right. 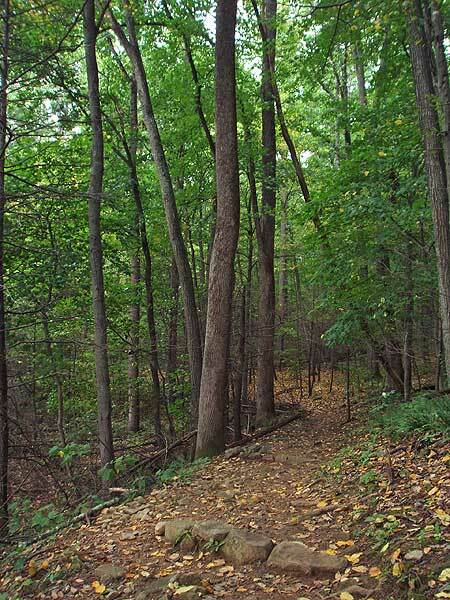 Stay left on the narrower yellow blazed trail, marked on a concrete post as "Horse Tr To Big Meadows". 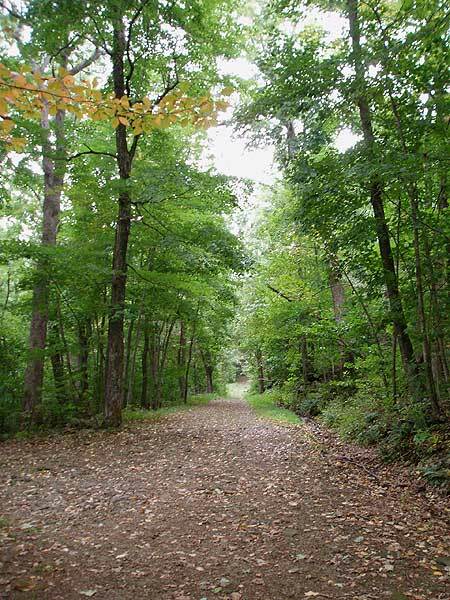 In 0.6 miles the horse trail intersects the blue blazed Cedar Run Trail. 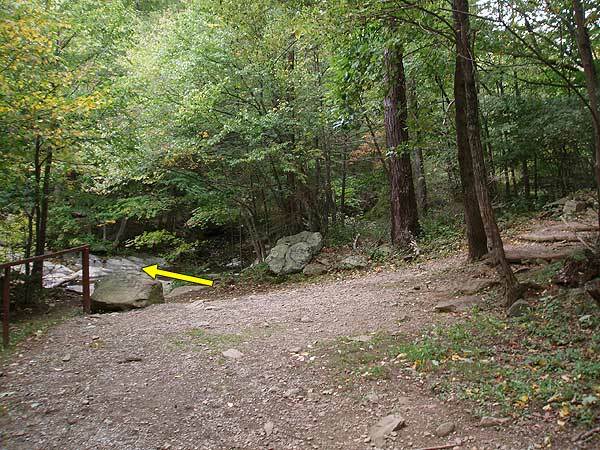 Turn left downhill on the blue blazed Cedar Run Trail, then in 1.3 miles cross Cedar Run. 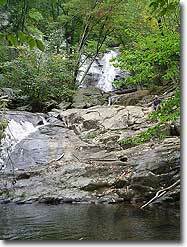 In 0.2 miles after crossing Cedar Run reach the top set of main falls at Halfmile Cliff known as "The Slide". 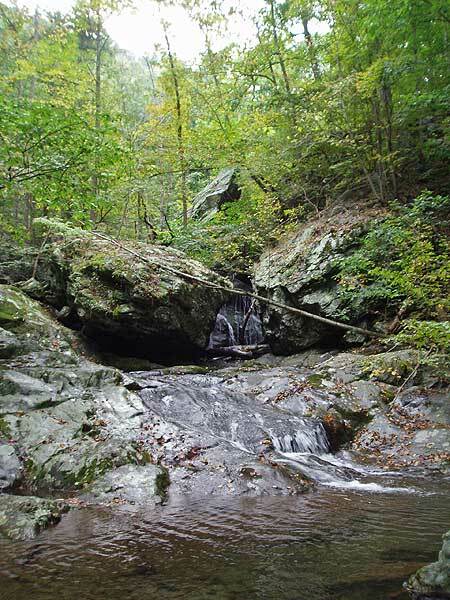 60 yards below the main falls is a pool where Cedar Run passes through a narrow gorge. 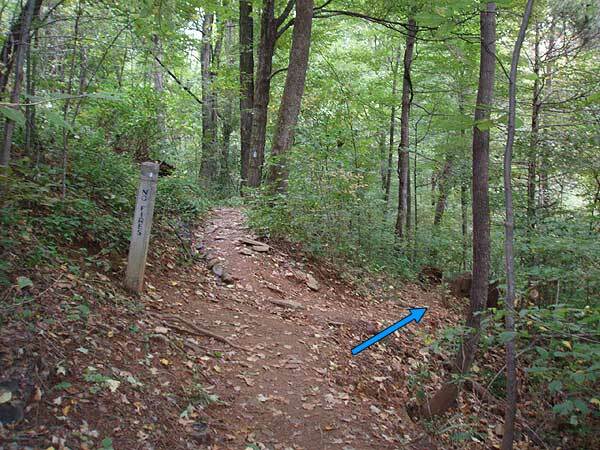 Continue downward on the Cedar Run Trail for 0.5 miles where the blue blazed trail makes a sharp left to cross Cedar Run for the last time. After crossing Cedar Run follow the trail for 0.3 miles to the intersection of the WOC/Cedar Run Connector Trail. 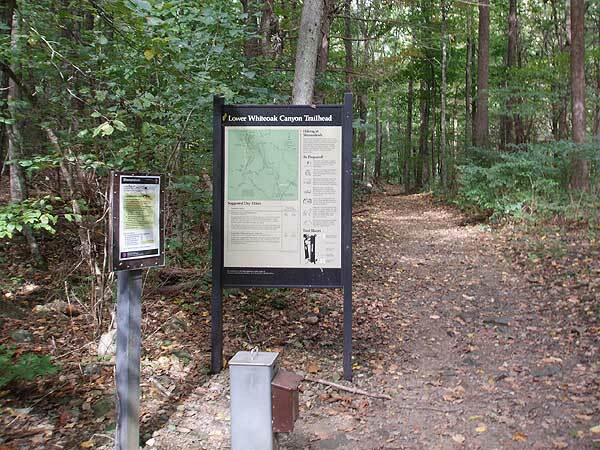 Turn right downhill on the Cedar Run Trail towards RT600, and in 0.4 miles arrive back at the WOC Trail intersection. Turn right, re-cross the steal footbridge, and arrive back at the parking area. Parking lot was at 10:15am when we arrived. We ended up parking at the private overflow lot and paid the guy $10. There were two cars there at the lot when we arrived. So you might luck out with a free spot before 10. 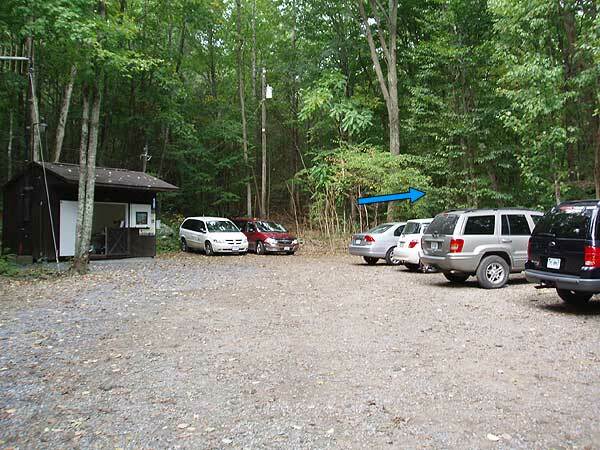 This like old rag now where you have to pay $10 to park in the overflow lot. 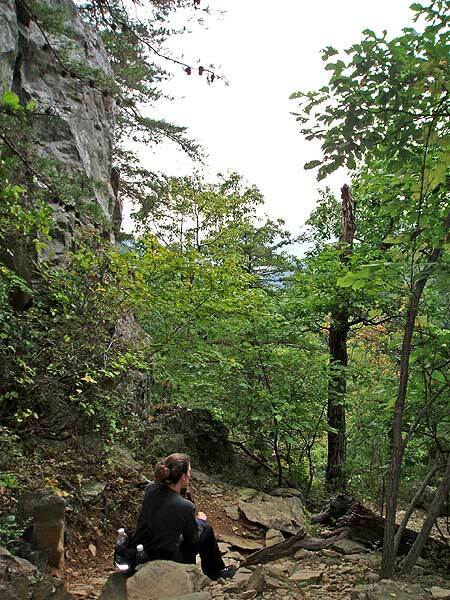 There’s no White Oak Canyon loop on the free map so we ended up hiking all the way up and down the Appalachian trail back to Cedar Run instead of taking the shortcut across using the fire road to Cedar Run. Wife was not too happy about my poor research on this hike. The water were strong and high during our hike. We had to wade over the river at multiple places. Our hiking boots were wet from it. We should have taken it off. 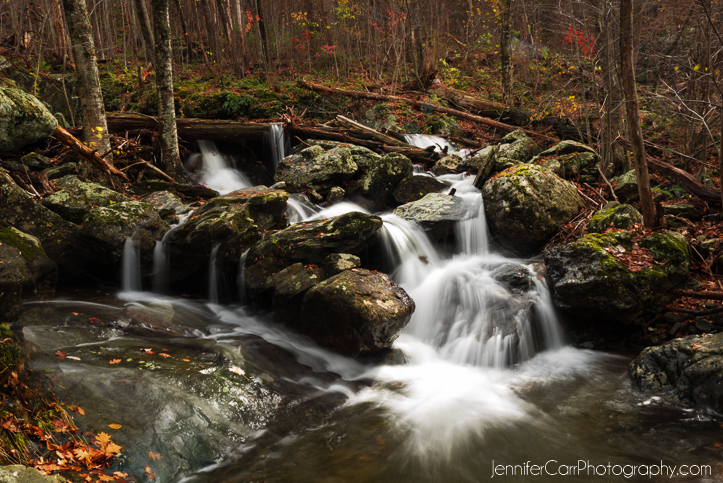 The views were pretty nice but I enjoyed the waterfalls on the cedar run side more. 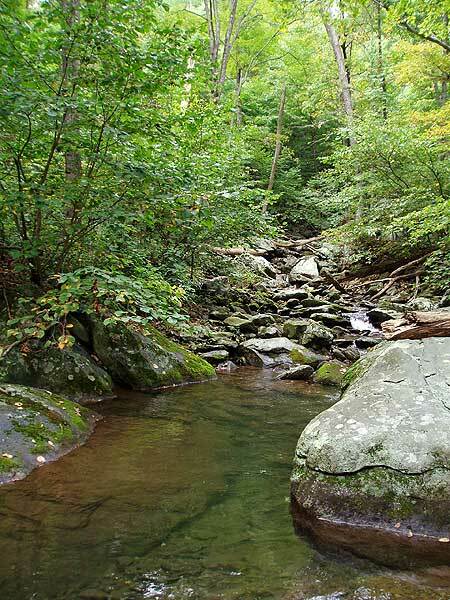 I hadn't hiked the full circuit in a long time, having done a bunch of WOC out-and-backs with the family and dog. I hiked the full circuit for the first time 40 years ago and I wanted to see if I still had it in me. 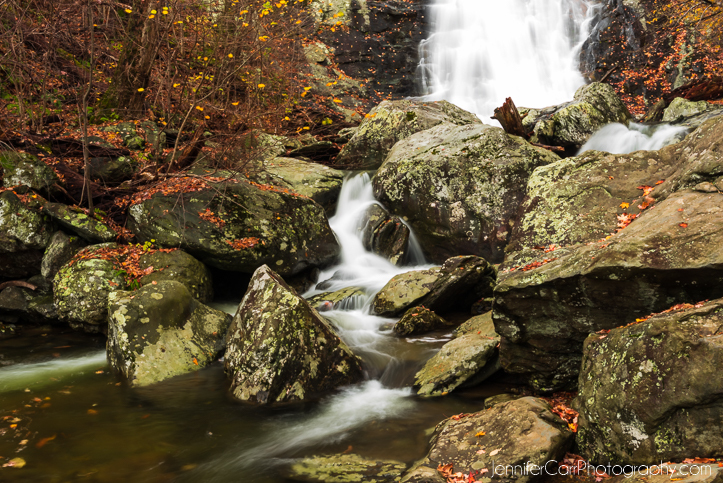 The WOC falls and rock tumbles were spectacular because of all the recent rains. 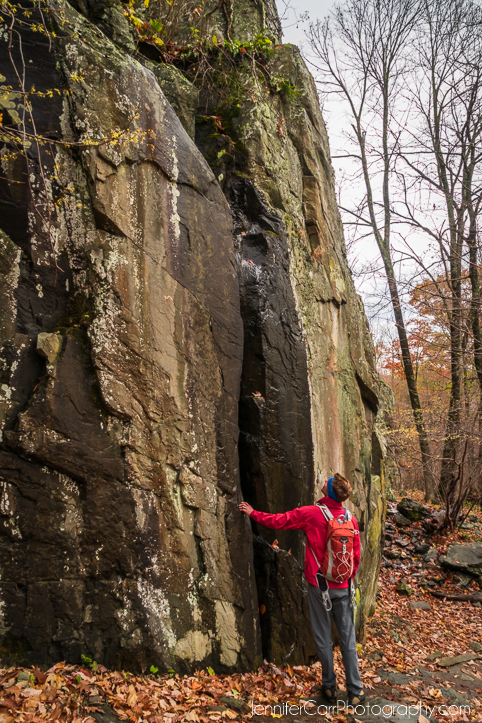 As previous reviewers have stated, the Cedar Run trail was very rocky, steep and difficult and not as well maintained as the WOC trail. 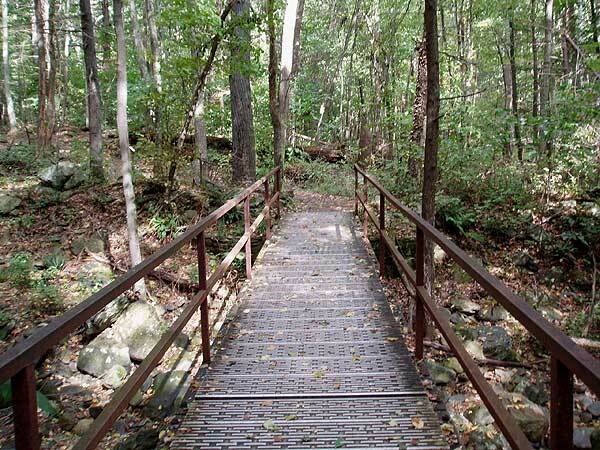 I would characterize it as a "primitive trail" for about 2 miles of the descent. 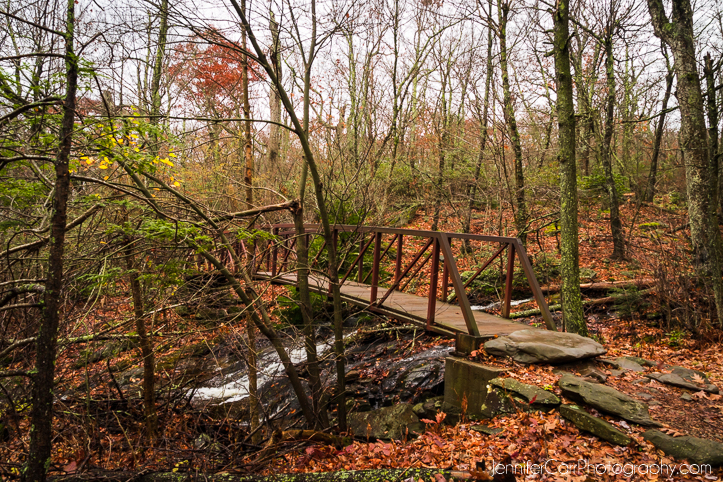 The two Cedar Run crossings were challenging due to the high water. I took off my shoes and stumbled and slipped across one crossing and found a fallen tree to use for the second crossing. 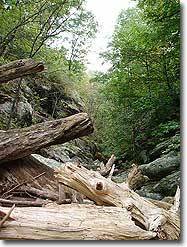 If you want to do the full circuit I would recommend going up the Cedar Run trail and coming down the White Oak Canyon trail. 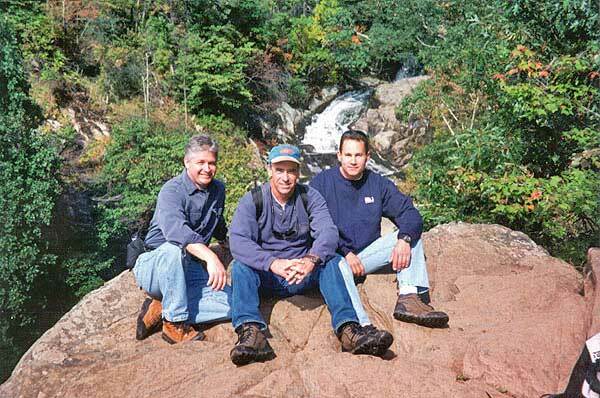 Having said, that it was a great hike and, yes, I still had it in me. Did this with Boy Scouts with full packs. 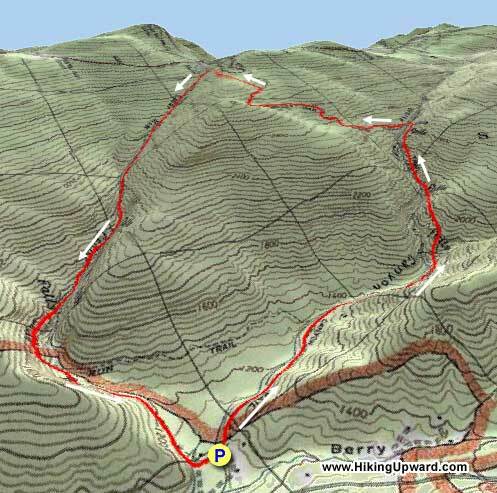 This is a challenging circuit hike and would not recommend for young scouts, i.e., less than 14 and not with full packs. 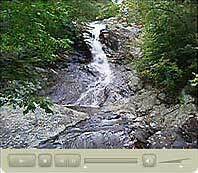 Beautiful hike, but do it as a day hike with light packs. 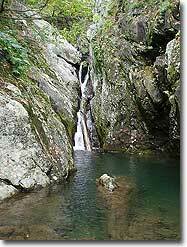 Make no mistake about it, this is a great hike. Scenery is tremendous. Today there was a fog/mist storm on the ridge that blanketed the mountain to create a neat affect. Love it. However, be aware that going down Cedar Run! At stretches I was fighting for every step. 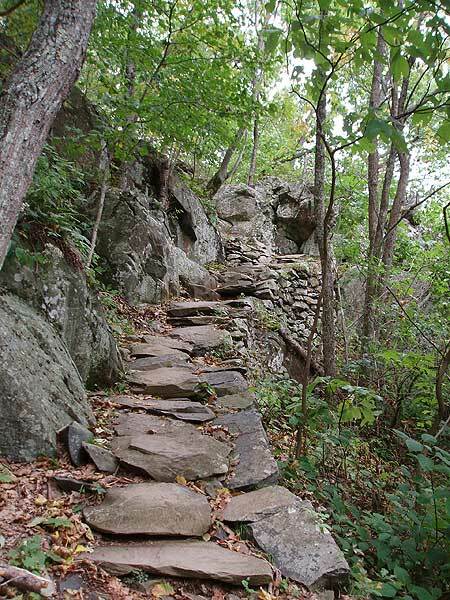 Between boulders, rocks and roots, on the steep incline, the going was slow. Good balance is must. Next time I will do an out and back on White Oak. My friend and I hiked this today. The falls are spectacular!! We took our dogs and they loved it, too. 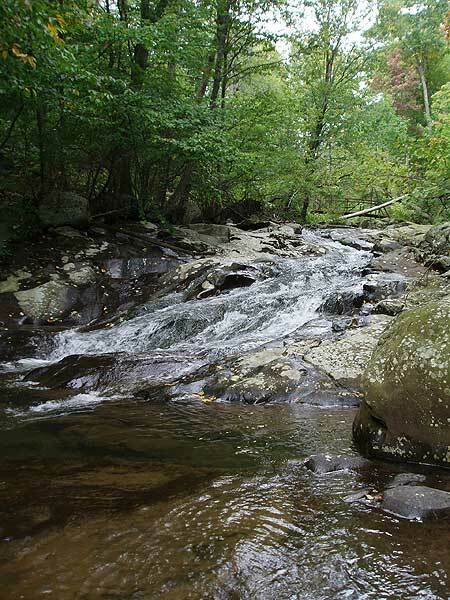 We hiked counterclockwise up the WOC trail, saw all the beautiful falls (which, btw, are abundant, deep, and flowing wildly, because of all the rains), crossed the falls via the bridge and continued on the Fire Rd. This was the only part, at the time, that seemed a bit boring to me. 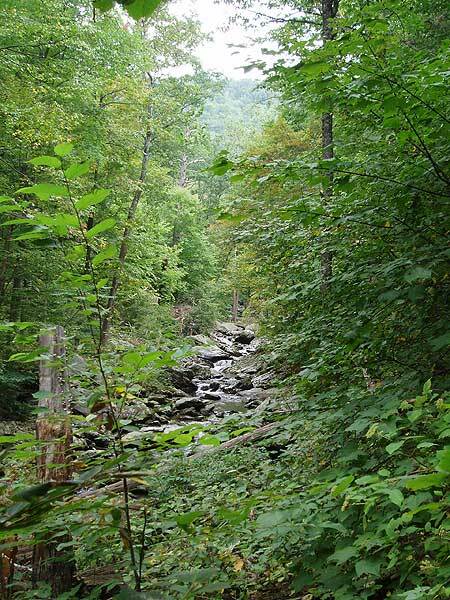 But, boy oh boy, by the time we’d hit the Cedar Run trail, we were begging to be back on the Fire Rd. The going was tough coming down. 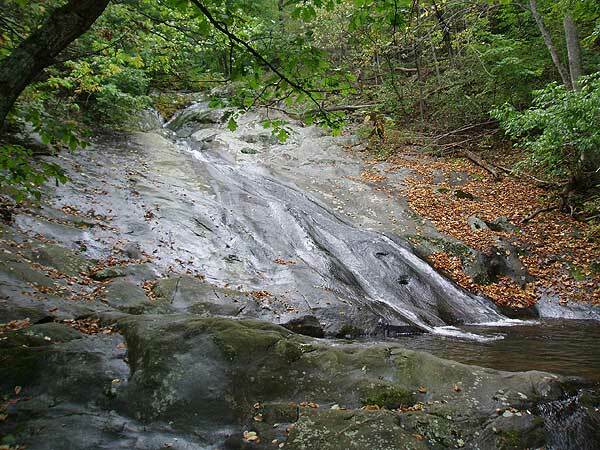 Wear your waterproof hiking boots and watch your steps carefully. Also, take a bathing suit, water shoes, and a picnic. About half way down we had a hard time finding the trail marking. My friend finally found it....across a huge section of falls, clear on the other side. 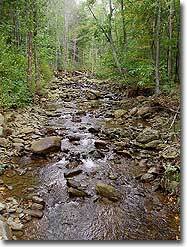 We waded across very carefully. It was not an easy feat with two dogs. 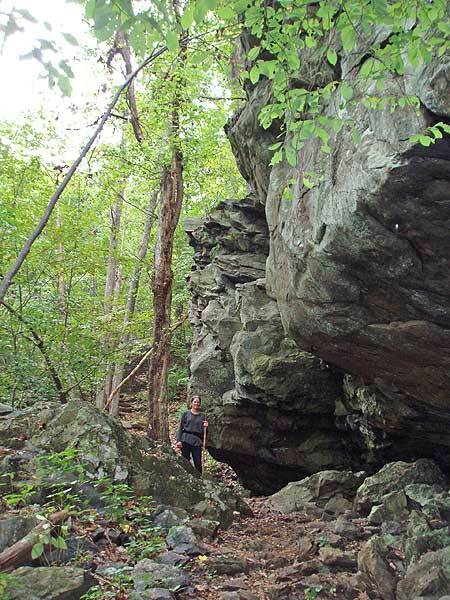 We continued the long hike down over rough rocks and boulders. In order to reach the parking lot we had to cross the falls again, in even deeper water! 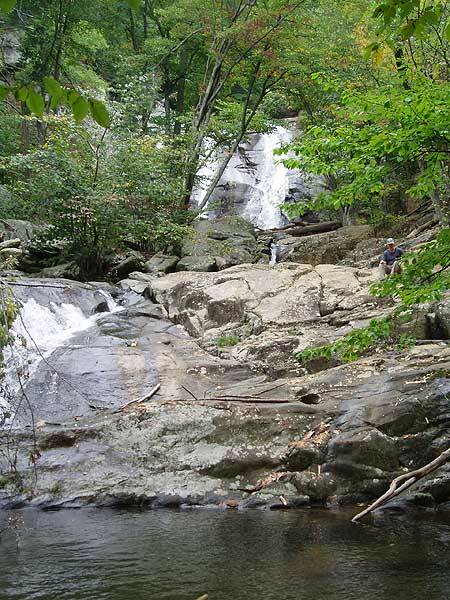 Yes, it was strenuous coming down, but, wow, SO worth it. This has become one of my favorite hikes ever. Do it now before the water lowers! You’ll be so glad you did. 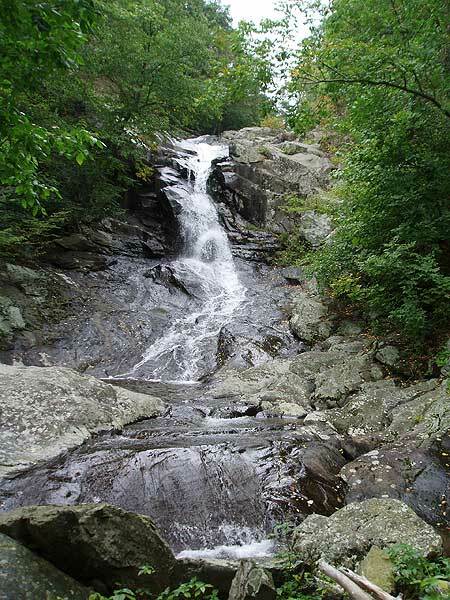 Waterfalls, waterfalls, waterfalls! 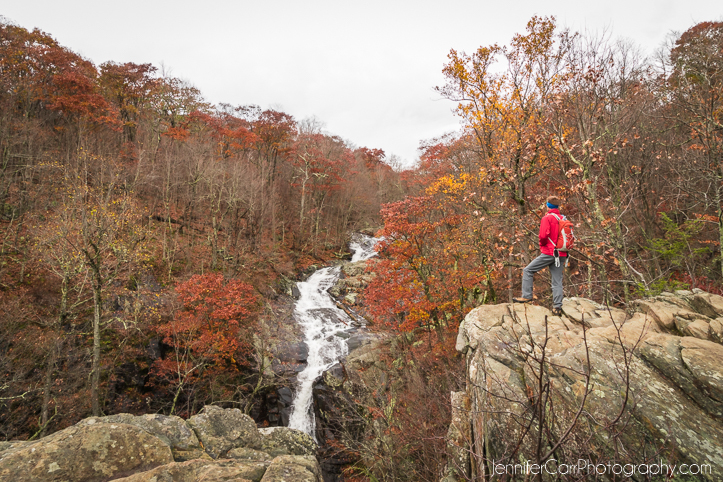 This has to be the most spectacular waterfall hike in Shenandoah National Park. 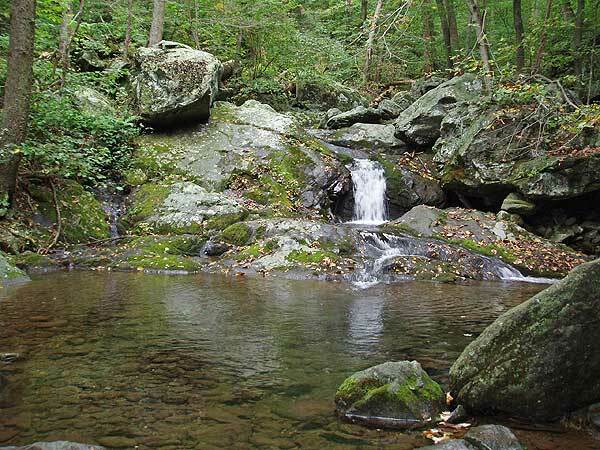 With three sets of falls on the way up White Oak Canyon and three smaller falls heading down Cedar Run, this circuit is among the mid-Atlantic's most popular. Lots of company on the trail. 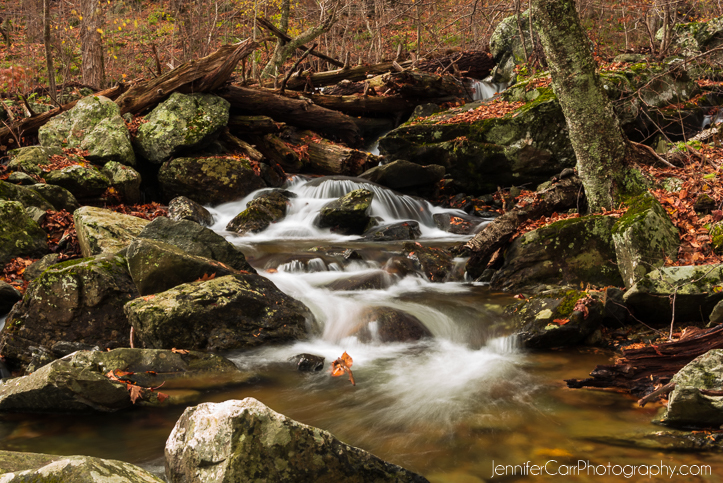 Usually, the ideal time for this hike is in early spring, but with the rain we've had in the last month, all the falls were near their best. 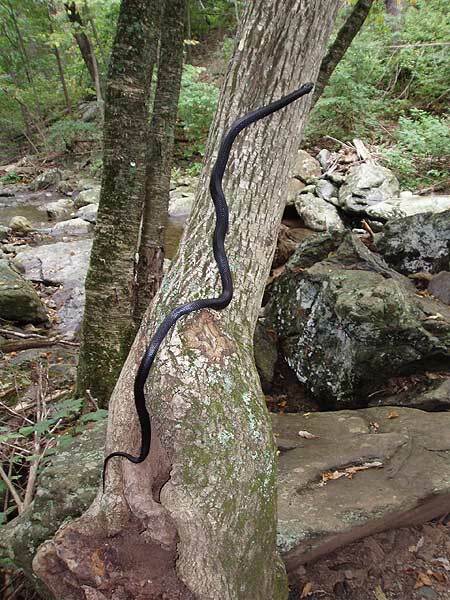 The wildlife was also out; we came across several black snakes, this guy (vid) was a local celebrity with hikers on Saturday, and we also saw a juvenile black bear on the trail.